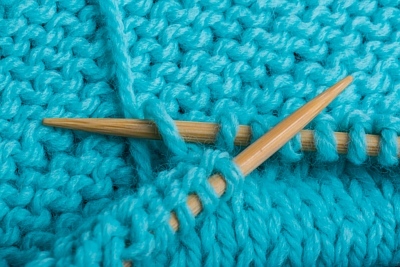 Here is a bit about purl stitch in knitting and how to knit purl stitch for beginners. If you do any knitting, purl is one of the most common stitches used in knitting patterns next to garter stitch. It is done almost the same as garter stitch, but backwards. In other words instead of feeding the knitting needle in through the back of the stitch to start, you feed it through the front of the stitch and work the opposite way than you would for garter stitch. If you had to knit a few rows in purl stitch, the garment you knit would look like you were doing garter stitch. 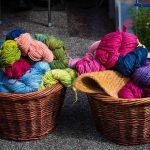 In order for your knitting to get that characteristic smooth look, you would need to knit one row of garter stitch and then every alternate row in purl stitch. 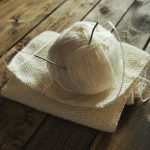 If you are used to knitting garter stitch, you will find purl stitch a little awkward in the beginning, but with a little practise, you will get used to it. There are various different styles of purl stitch including continental or German method, English method, combined purling method, Norwegian purling method and knitting back. Here is a video tutorial for you to follow, as words just don’t explain as well as a video would. Here is a great book by knitting expert Sally Melville, with some great patterns that use mainly the Purl Stitch for you to practice on. Sally Melville has written other books on knitting and knitting patterns. To find out more click on the book or the link above. This book will Teach you all sorts of other knitting techniques, including information about materials, equipment, stitches, increasing and decreasing, and preventing and fixing mistakes, and includes patterns for dozens of projects. Next Post How Is Wool Made? What a great article for beginners. Really easy to follow and quite informative. I have a dog rescue from home. So sometimes it can get kind of tight budget wise for my dogs, but I really want to make sure they have different accessories, particularly scarfs for our colder seasons. Would you happen to know where i could get instructions on how to do this. I will look for one and post it soonest on this site. I know i had one somewhere. Glad I came across this site and enjoyed reading your content. I have just started to learn to knit at the moment and still trying to get a hang of the needles! Find it so tricky. Am going to bookmark this site and follow along with the video tutorial. It’s great for beginners like me. Glad to be of help Jenny. Once you get going with your knitting, it is very addictive. 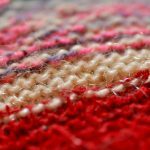 Great post on how to do the purl stitch. I taught myself to knit about six months ago. I used videos online very similar to the one you have on this post. Some were easy to follow and some were not. I found your video went at a very good pace and was very easy to follow. Wish I saw this 6 months ago! Yes I agree that it is far easier to follow a video that moves at a slow pace, especially with knitting so that you can knit along with the video. Thanks for leaving your thoughts Jessica.